Coller Industries. So are donations! As your go-to specialist for personal identification needs, Coller Industries strives to make a difference in our community. Part of this is to donate our time, products and solutions to those in need. Recently we were contact by someone in great need of our assistance. “Teachers spend a lot out of pocket and having this donation helps (our) eight kindergarten teachers out,” said Michelle Smithson, Kindergarten teacher at Overall Creek Elementary in Murfreesboro, Tennessee. Coller Industries donated lanyards and badge holders to help these classrooms with their needs. 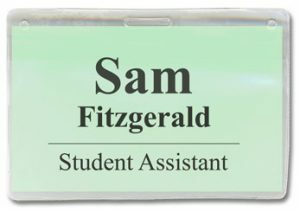 “We will be using these lanyards for the students to have their name and library and lunch numbers printed on a tag to be able to independently type in their numbers on the keypad. Even in Kindergarten we, as teachers, are not allowed to help them type this number in for them. Having the lanyards gives them the visual to be able to look and see their numbers. Also having a lanyard helps to easily put them on and for storage,” said Smithson. Cord badge lanyards have length of 36 inches with a J-hook fastener, ideal for badge holders and ID Badges. 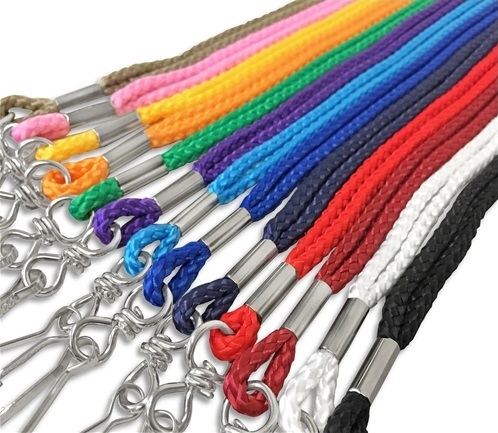 These simple and inexpensive lanyards come in over a half a dozen classic colors. 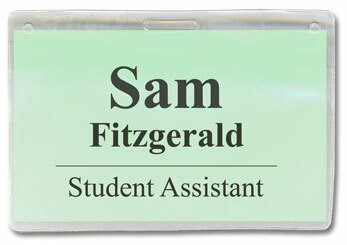 These badge holders are a common size (2.25 x 3.5 inches) for meetings, schools and visitor passes. This is an economical vinyl option. The 8 mil vinyl is sturdy enough for light use and provides a few fastener options. Smithson also explained, “We are in the ‘kid business’ doing our best to instill a love for learning and inquiry through (our) STEAM curriculum.” The donation will help them to stand up to their school goals: to assure academic & personal success for each child. When given to such a great cause, Coller Industries loves providing these donations. We stand by our customers and strive to help in our community. All of our donations are something that help us stand out from our competition. And the best part is working with wonderful people like this!